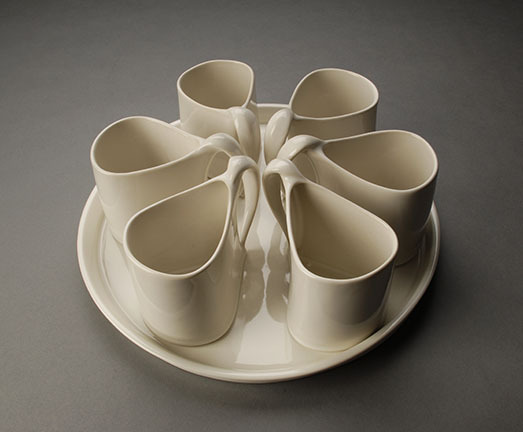 Brooke Evans is a potter working in Monroe,NY. 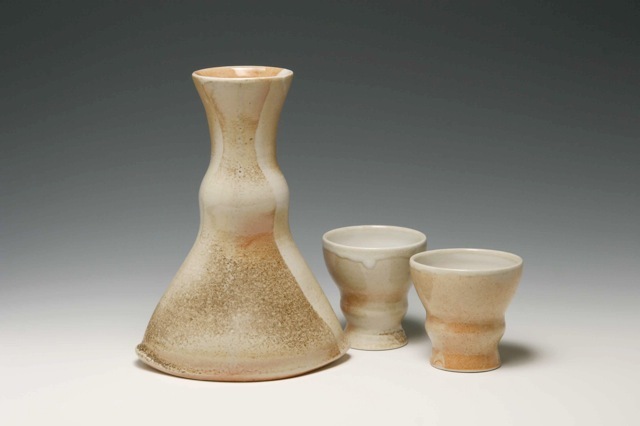 Her evolution as a potter began in Baltimore, Maryland working as a member of Baltimore Clayworks. 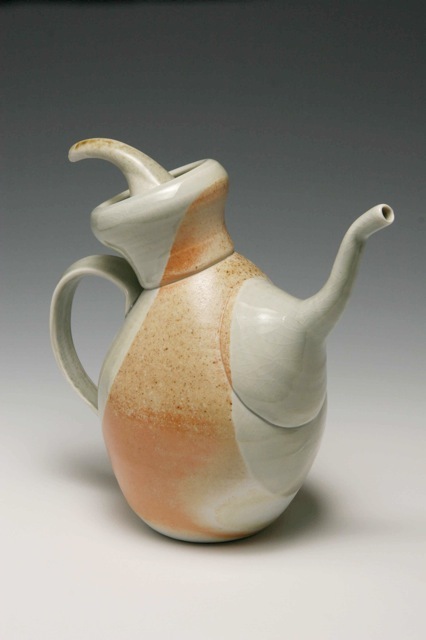 In 1995 she earned her Masters of Fine Arts in ceramics at SUNY New Paltz where she began her development of wood-fired surfaces on thrown and altered porcelain . 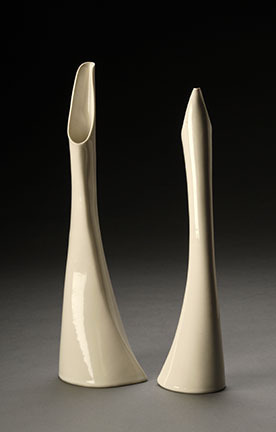 In the past two years an interest in modern design has influenced her practice with the adoption of hand-building and slip casting techniques and a dramatic shift away from wood-fired surfaces to a more simplified glaze palette. 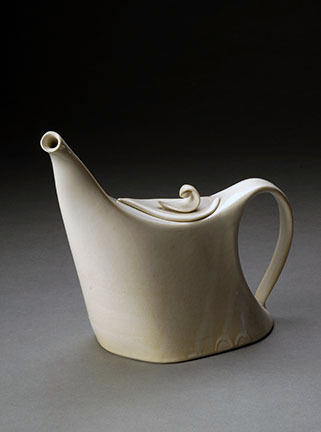 Despite these significant changes in practice, her recent work continues with the same organic and graceful sensibility of form and function integral to her earlier work. Brooke Evans is teaching Handbuilding and Wheel Throwing. 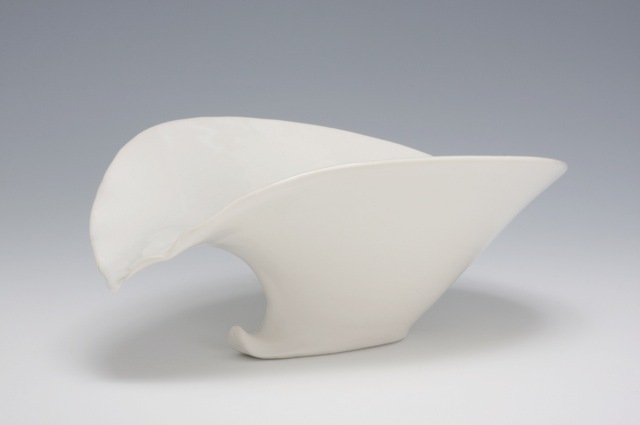 My vessel making is inspired by the biomorphic sensibilities of natural forms coupled with the clean lines and surfaces of modern design. The simple glaze palette supports the primacy of form in my work. I embrace the challenges that function presents in the designing of useful objects. This priority serves the ultimate purpose of bringing beauty and elegance into the personal and social realms of everyday life.